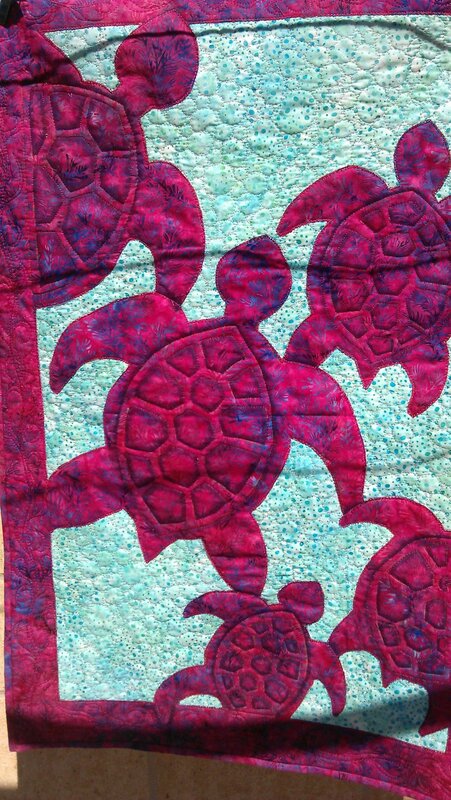 And after finishing the second turtle quilt, I made another one! This one will go to my nephew as they’re having a baby in a few months’ time. This time, I used the same raw edge applique and shading techniques I’d used in the second one, but with much more contrasting fabrics. 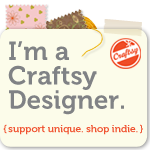 I think this one is my favourite of the three. 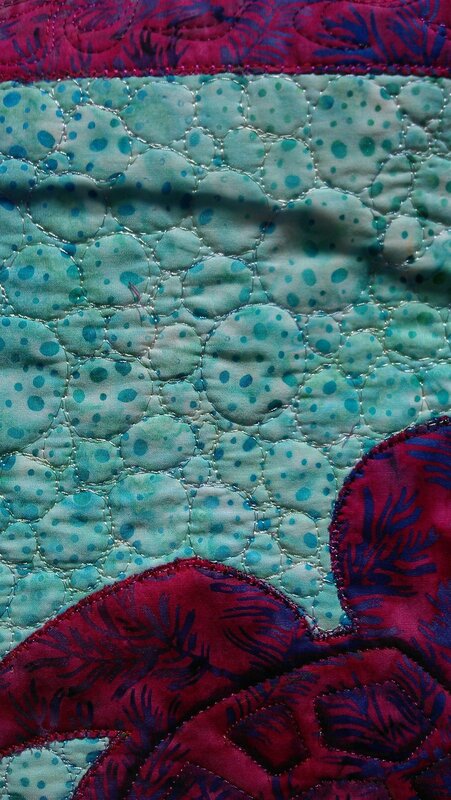 For the quilting, I stitched bubbles all over the background, emulating the round shapes on the pretty aqua batik fabric. 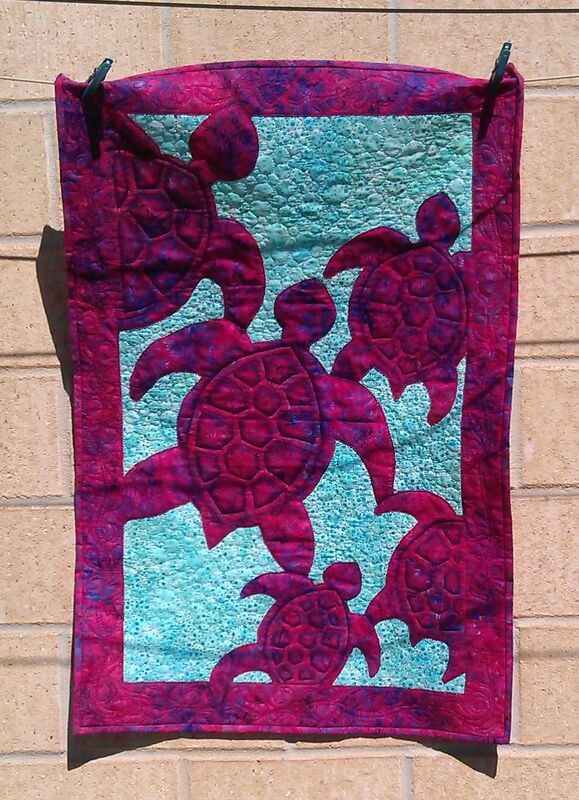 The top fabric was a deep pink/purple/blue wavy leaf pattern, which I shaded with a deep purple Copic marker. 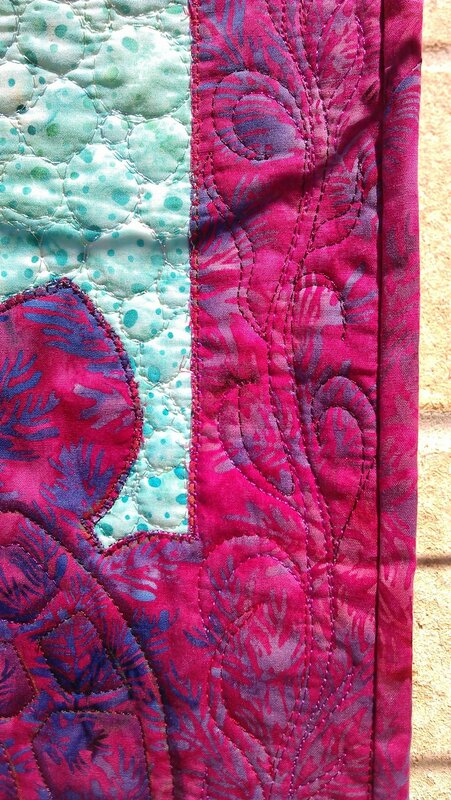 The quilting in the border was sort of seaweed/kelp-like.